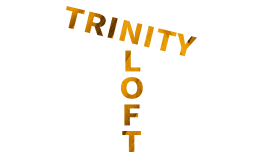 Visit Trinity Loft today and discover why entrepreneurs rave over our Dallas, TX apartment rentals. Residents enjoy our work/live lofts where they can indulge in comfortable loft living and highly functional work spaces. Our apartments provide a unique urban feel with the advantage of being near downtown Dallas, TX surrounded by countless shopping outlets and entertainment venues. Enjoy easy access to I-35, I30, Dallas North Tollway, and Hwy 183. In addition, Dart rail at American Airlines Center is just a few steps away. Plug us into your smartphones and come visit us today! We look forward to seeing you soon!